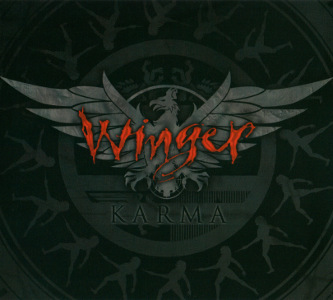 Kip Winger: One of the very few artists who never, ever disappoint me no matter what direction they follow. The band continues to be in a great shape -you can tell that from miles- and “Karma” will leave no listener indifferent. Once again many styles are being blended and the outcome is sublime. Overall the album turned out heavier than expected (make that heavier than I was expecting) featuring quite a few short in-your-face solid Rock songs. btw, Am I the only one who thinks the opening riff of “Pull me under” sounds dangerously similar to late 80s/early 90s Savatage? That doesn’t mean you won’t get to hear Kip’s softer, more sentimental side. Some musicians are blessed with a unique gift: they are able to change a song, from aggressive to smooth and vice versa, with a snap of their fingers. And it all comes perfectly natural. An essential purchase and part of my top-5 releases of the past year. Can you upload “Making of Karma” again? I love the album and I want to watch the documentary. Is there a way to download the “Making of Karma” only?